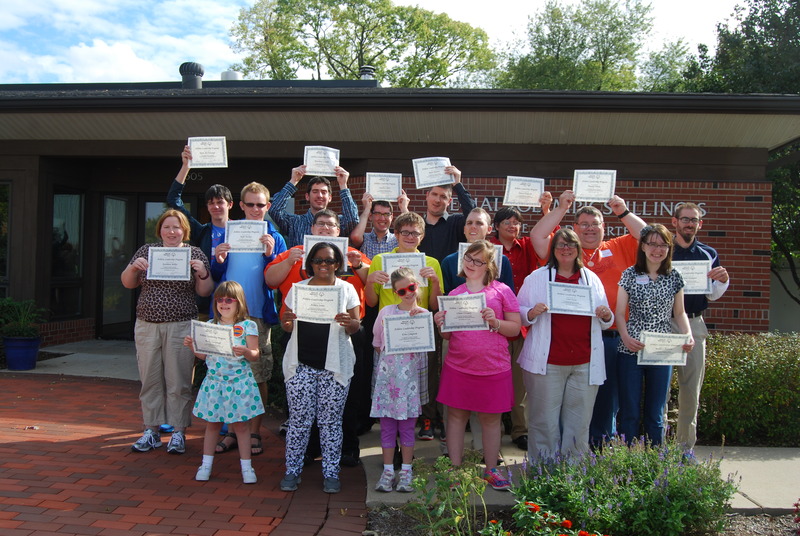 Special Olympics Illinois is proud to introduce 18 athletes who successfully completed the 2015 Global Messenger training held Sept. 26-27 at the state headquarters in Normal. The group of athletes represented 9 Areas from around the state. They ranged in age from 10 years old to 42 years of age and brought an enthusiastic and eager spirit to the training! These athletes are anxious to get out into the community to share their stories of courage, determination, life-long learning and friendships they’ve gained through their involvement with Special Olympics. If you would like to have a Global Messenger speak to your group, business or event, please contact Karen Milligan at 309-888-2013.